Every Word - As soon as the mood to read a swoony contemporary romance/mystery hits, I'll be all over this one. Winter - YES. As soon as my pre-order for this baby arrives in my mailbox, I'll be diving straight in without a second though! 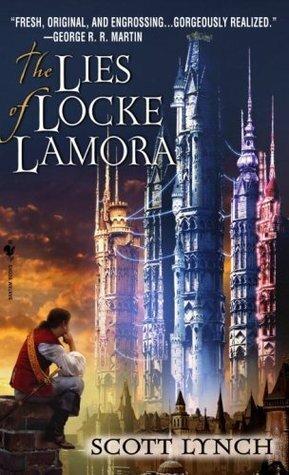 The Lies of Locke Lamora - I actually sort of started this one as part of a read-along a few months ago, but my schedule was too crazy to make it very far. I will be fixing that soon. Linger - After finally reading and loving Shiver, I can't wait to see what's in store for Sam and Grace in Linger. Lirael - Sabriel was one of my absolute favorite reads this year, so much so that I can't believe that I haven't already picked up Lirael! Dark Triumph - I've heard that the sequel to Grave Mercy is even better than the first book, which means I really need to check it out before I forget any details. The Casual Vacancy - This one has been on my TBR and making appearances in lists like these for far too long. I NEED to read it. What's on your Fall TBR? Great list, Micheline! I definitely recommend reading Lirael and Dark Triumph, but particularly Lirael which is one of those books I remember so fondly from my teens. I can't wait for Winter either, even though it's going to break my heart when the series finishes. I'm a little nervous because I can't find anywhere in the UK to pre-order a hardback edition of Winter and I don't want to be spoiled! D: The Book Depository is an option, but I pre-ordered Cress from them and it turned up a week late. Maybe I'll have to read it on my kindle first. Also you're one of the few people I've seen say they liked Shiver which is good because I plan on reading it this winter! There are so many awesome books coming out this Fall, right?! I've got a few on my TBR. I also can't wait to read Winter. 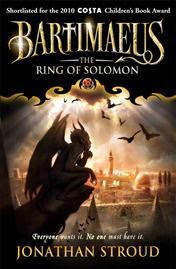 I'll be re-reading the first three books and marathon the rest of the series soon. 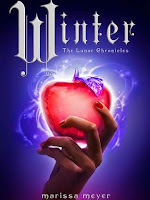 "Winter" and "Lirael" *squees with glee* These are definitely two I want to get to! 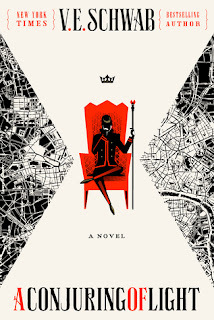 It's been such a long time since I read Garth Nix, and I've been hard-staring at the Nix books in my YA collection lately. I've been feeling the pull for sure. I have had The Lies of Locke Lamora on my tbr for SO long. I've been wanting to read it for ages. I hope you enjoy it. I'm really looking forward to Truthwitch! Great list! Good luck! I'm looking forward to Winter so much!! Not too far away. Great list! 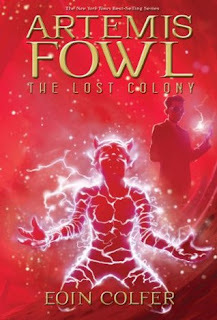 I read Eye of the World last year, and while the first half is slow, the second half gets very exciting. I hope you get to enjoy it! And you have Truthwitch! I'm very curious about that one, looking forward to hear your thoughts! Good luck finding time to read everything. That's usually the limiting factor for me. Dark Triumph is amazing! I thought it was so much better than Grave Mercy and I really liked Grave Mercy. Sybella is such a great heroine! Winter is getting closer! WOOWOO! !